a free trial account can be used to test the service with your system. All components are encapsulated; their styles and code cannot ‘leak’ to other parts of the page. For example, the bar chart component’s title is an H2 element and we can apply any styles, e.g. Vue.js will ensure those (awful!) styles are only applied to our component and not H2 headings elsewhere on the page. However, a style applied to all H2 titles on the page can cascade to our component title. This can be useful since our component can inherit default fonts, colors and dimensions. 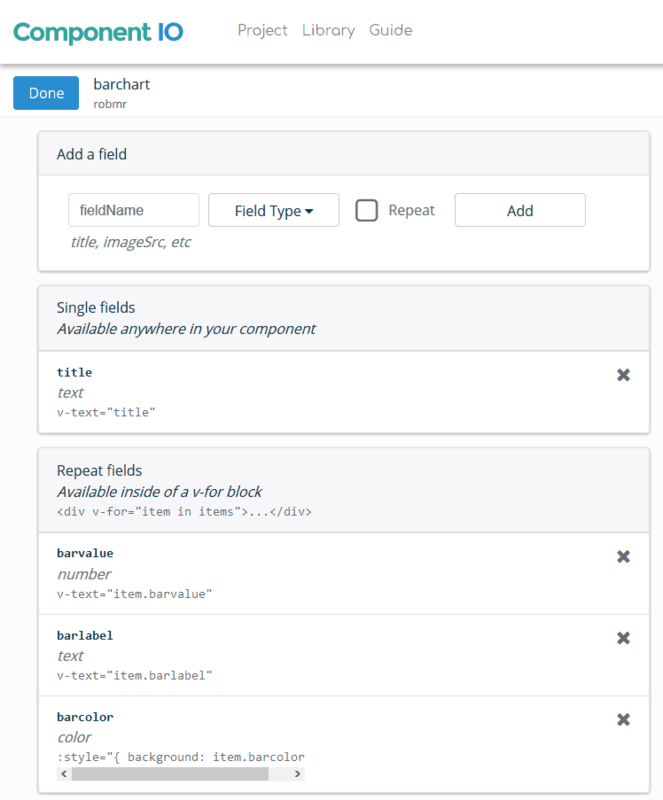 From the Edit menu, choose Edit component name and enter “barchart” or another suitable name. Content editors to modify values. Other components to be created with a different configuration. For example, if we require two bar charts, we can duplicate the first and change the field values accordingly. A single title text field. The barvalue numeric field which defines the bar’s value. The barlabel text field which defines the bar’s label. The barcolor color field which defines the bar’s color. These last three items had the repeat checkbox checked. We can therefore define any number of data items in our bar chart. The component HTML documentation describes how templates are created. There is no need for an outer DIV or other element because the component will be automatically given one. Note that I have not set font styles or sizes so the component can inherit these from the page where it is used. component.data holds field values such as component.data.title and component.data.items.barlabel. If we change a value, it will be instantly updated in the component. the component.mounted method is called as soon as the component has been rendered. the highest value (maxValue). This will have a bar which uses 100% of the available space. Hit Save (or press Ctrl + S) and close the editor using the X at the top-left. You can change field data to see how it affects the component. If anything fails, open your browser developer tools (F12 or Ctrl|Cmd + Shift + I) and examine any error messages in the console. 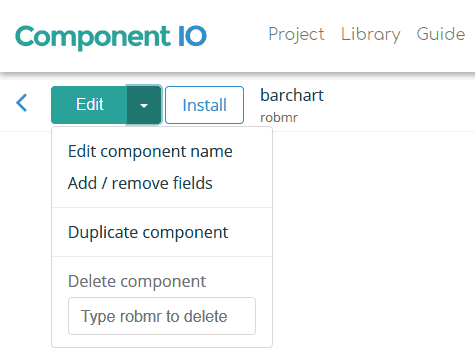 The Component IO Guide provides further information about APIs and using code within other frameworks. The component can be installed on any website where you are able to insert HTML code (a system such as CodePen.io is ideal). Hit the Install button to view the instructions. 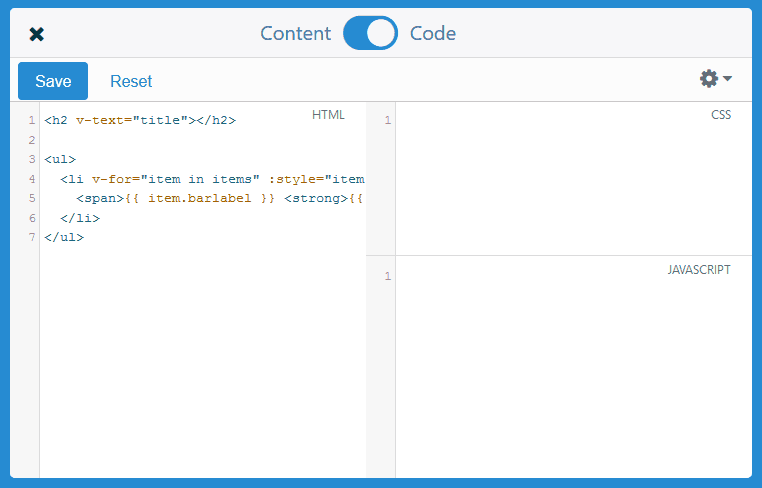 The first component on the page will require both the component HTML, e.g. Subsequent components on that page just need their <component> tag. See the Pen Component.io custom components by Craig Buckler (@craigbuckler) on CodePen. 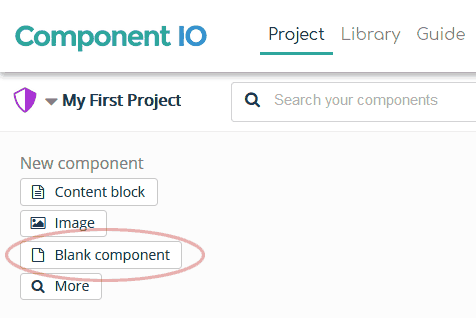 Users will see an edit icon on the right-hand side of the page if they are logged in to their Component IO account. When they click the icon, they can choose one of the components and edit the field data or code. Custom components provides a flexible, modular development workflow for any website regardless of the CMS, server-side language, or technologies. Components can be shared, modified, duplicated and put live without a complicated build process or a rigid CMS plug-in system. You can be productive immediately without having to learn yet another web-based eco-system! Component IO provides a simple tool which could revolutionize how you approach new features and updates for clients. 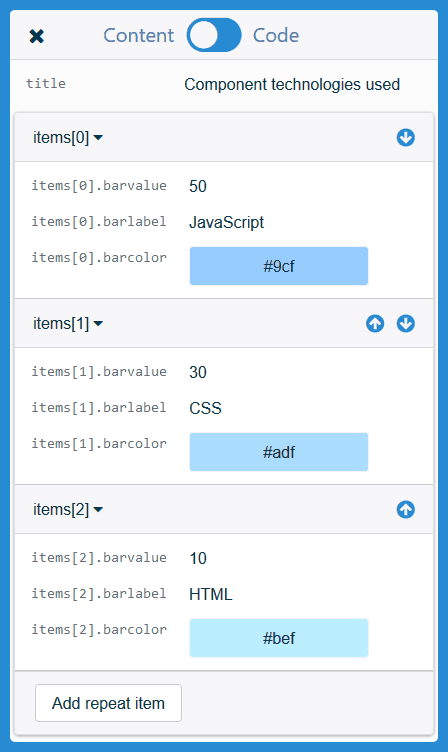 It’s easy to start with pre-built widgets then create your own component collection. Sign-up is free – you have nothing to lose!